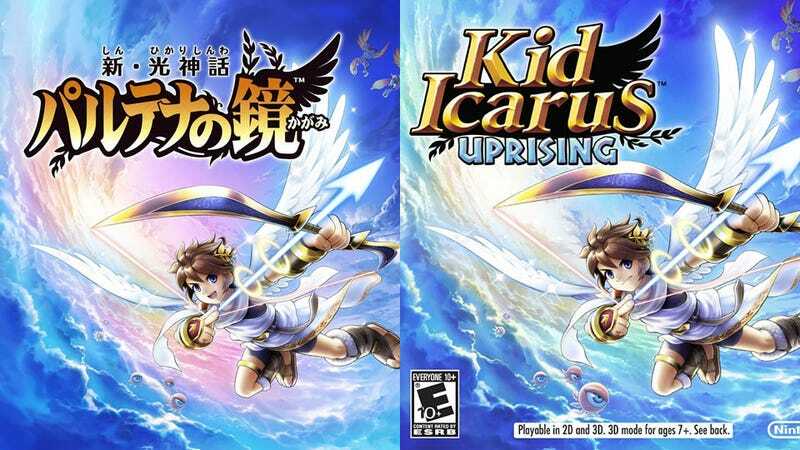 On the left, the Japanese box art for the upcoming Kid Icarus: Uprising. Note the childish smile because this is a Nintendo game, and he's a cute kid. On the right, the American box art. Same cover, mostly, but the smile has been removed, and replaced with a scowl. Note there's also less pink on the American cover. So, for 2012 smiles and sunsets are out at Nintendo of America!